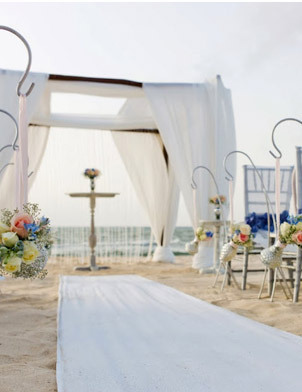 It can be difficult to choose a honeymoon destination to celebrate your brand-new marriage. Everyone is looking for the perfect location where they can relax and enjoy their new union. How about the Caribbean? The Caribbean is a great choice for couples looking to enjoy warm weather, pristine beaches, and fantastic hospitality. The islands in the Caribbean are among the world's most popular honeymoon destinations - maybe they're the right destination for you too! You can even do a twin or multi-centre option if you'd like to fly between and visit a number of different islands along the way. Our Specialists will be able to guide you to ensure that you find the islands that are right for you. The Caribbean is a tropical destination region that is comprised of the Caribbean Sea, its numerous islands, and the surrounding coast. The Caribbean islands border or are surrounded by the Caribbean Sea and they are many, from Aruba, Haiti, Grenada, Jamaica, Trinidad and Tobago, Puerto Rico, Saint Lucia, and Barbados, to Cuba, Dominican Republic, Colombia, Anguilla and Antigua, there are a variety of unique islands that make up this beautiful destination spot. Many couples in love travel to the Caribbean for their honeymoon every single year, as well as many families and other individuals, it is one of the top destination spots in the world to honeymoon. All of the islands that the Caribbean has to offer are beautiful and have something different for everyone to enjoy so that you have the experience of a lifetime. Many nations in the Caribbean offer romantic honeymoon - perfect resort destinations, whether you're looking for an intimate villa setting or a glitzy resort, the Caribbean has it all for couples looking to celebrate their honeymoon. Of course, one incredible advantage of choosing the Caribbean as your honeymoon destination is that you can take advantage of gorgeous beaches as a backdrop to your romantic getaway. Imagine taking romantic evening strolls down the miles of sand in the the Dominican resort town of Bavaro, or relaxing on Aruba's Boca Catalina beach. When planning a Caribbean holiday, you should consider choosing your accommodation based on your style of travel. Independent hotels, villas and all inclusive resorts are not just a place to stay but a way of life. It is therefore vital that you select your accommodation based on your travel style. Ideal candidates for all inclusive resorts are families and those going for their honeymoon. All inclusive package includes drinks, meals and on site activities. They are good for those who do not want to spend a lot of their time planning their trip but prefer to lounge by the pool or beach the whole day. All inclusive is not recommended for someone who wants to experience the local culture and spend time away from the resort exploring the island. Such travelers should consider staying at independent hotels.For a different andcheapalternative, a lot of travelers opt to rent a villa. Villas are ideal for people who are looking for some privacy and want to get in touch with the island. Some of these villas come with housekeepers and cooks.Rather thanfeeling left out, you are going to find a built in network of people that rent you the home and the people who also work there. They can help you plan your activities and excursions. There are websites that you can check to help you plan villa holidays too. Where there is an island, you are sure to get water there. When planning for a Caribbean holiday, do not forget sea honeymoon. Going on a cruise is the best way to see the islands and there are cruise itinerary that are going to fit in any budget. If you go on a larger ship, you will descend on the island in big groups and everywhere you go, it will be crowded. It is therefore ideal to consider an intimate cruise. Smaller ships usually go to places where big boats cannot. Passengers are also going to be treated better by the locals than when in a large group. Chartering your own boat or even yacht might not be as costly as you think. This is the best way for you to enjoy the islands without any interference from other tourists. You will take as long as you want to view the islands and even disembark to take a walk or swim. No one will be in a hurry to leave. Be sure to research the activities in advance. In a location that has a lot of tourists, you are going to find tourist maps. Whether you are searching for an operator to take you kayaking or a vendor to sell you local crafts and spices, you need to be sure that you are dealing with someone who is honest, reliable and legitimate. The best way you can get a reputable agent for all your activities in the island is by doing your research in advance. With the information above, you will be sure to have a great experience in the Caribbean. This will be a holiday that you will never forget. Another perk of choosing the Caribbean as a honeymoon destination is the diversity that travellers can experience there. In addition to English, Spanish, French and/or Dutch are also official languages of many Caribbean islands. As well as linguistic diversity, Caribbean cuisine itself combines many global influences, from African, French, and Latin American foods. As well, in addition to sand, the sea is attractive to many travellers to the Caribbean. Any Caribbean island will provide you with many opportunities to take advantage of swimming, sailing, and a variety of other water-based activities. For all these reasons and more, the Caribbean is a favorite playground of honeymooners around the world. Consider booking your honeymoon there and make it your favorite destination, too!